Over at Paperbabe stamps we have a new challenge on the blog today! You could be in with a chance of winning some Paperbabe stamps goodies worth up to £20. The theme of this challenge is "Sprinkle of glitter", you can interpret the theme however you like, you just need to get creative. I made this card using the folk-fabrique-stamp-set and the light from within quote stamp. 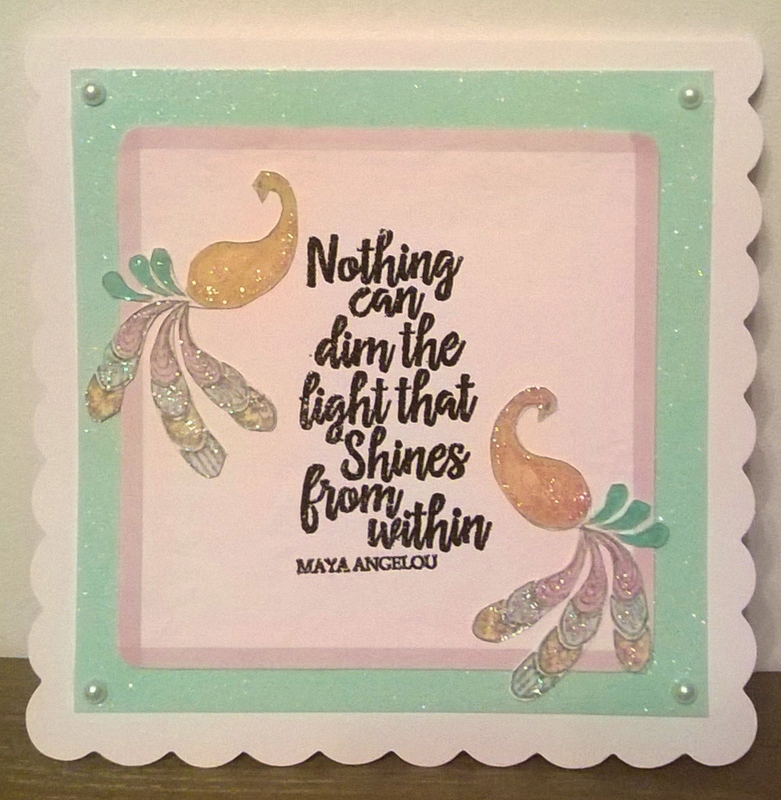 You can find all the details on how to enter the challenge at the Paperbabe stamps blog. Sweet card! Love the sparkle!